We are pleased to continue our 2018 Lecture Series with the Comstock Foundation for History and Culture! Dinner starts at 5:00 p.m. and lecture starts at 7:00 p.m.
Monetary policy is one of the most impactful, powerful regulatory tool that, when combined with destructive practices in the financial, banking, capital markets and money management industries, threatens the sustainability of capitalism and fundamentally the quality and manner of our lives. Mr. DeGasperis will challenge the assumptions around these monetary practices, expose the implications of reckless and irresponsible fiscal policies, at all levels of government, and discuss gold and other alternative currencies (Cryptocurrencies, Blockchain, etc.) role in the global monetary system, and ultimately, their immediate, near-term and potential implication on Nevada. 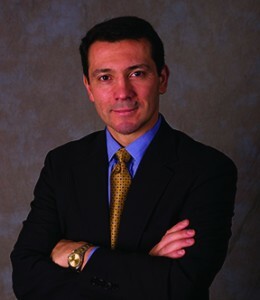 Corrado De Gasperis has been President and CEO of Comstock Mining since April 2010, and appointed to the Board of Directors in June 2011, and its Executive Chairman in September 2015. Mr. DeGasperis is a founding member and the Chairman of the Board of Directors of the Comstock Foundation for History and Culture and is also a Director of the Gold Hill Hotel Inc., the most historic, continuously operating Hotel in Nevada. He is also the Vice Chairman of the Virginia City Tourism Commission the Northern Nevada Development Authority and the Northern Nevada Network. He brings almost 30 years of industrial metals and precious mining, operational and financial management and capital markets experience. Lecture starts at 7:00 p.m. and costs $5 per person. Come early and enjoy dinner before the lecture! We Serve dinner before the lecture at 5, 5:30, & 6 p.m. If you are coming to the dinner and lecture, what time would you like to dine with us? 5:00 p.m. Enjoy a romantic evening! Guitarist Jack Di Carlo performing tonight!